I believe the one from b32 (PCGamer) is the best terrain we have. It doesn't have those weird raised ground at the end of the level, down the hill at the monorail tracks. Jungle Road HD is under way! Beach is still near completion, all it really needs are some bugfixes, physics boxes (ugh), and a couple of minor additions. Of course, the two levels now look rather inconsistent, but I hadn't really envisioned doing the rest of the levels when I started Beach, so the flora choices were more incidental. Perhaps one day in the future, once it's been released, Beach will get a renovation to match what I envision for the rest of the jungle levels (lots of MegaJungle scenery, along with some new ones and a couple of models from other levels). Another little change I made to Beach and Jungle Road is the addition of the RTJP sky, since I felt the crappy bluish one I'd been using looked a bit off. The fog needs tweaking now to make it less overly blue. It will be altered to better match the levels, of course. And, as both Draco and I have said, it only feels right to have Plains take place in the heat of midday. I could, of course, change things around, but my mind is so set on the timing of the other levels that I think PL during sunrise is going to be my final decision. It would look quite nice anyway with a pinkish mist rolling over the hills, the sun coming up from across the ocean which creates the eastern border of the level. That would also put the Dam valley into shadow, which could look quite cool. I really want to know what everyone thinks of this...of course, there's always the option to keep everything as it is in the original game, but that seems a bit stale to me since the time difference only becomes obvious once you reach Ascent 1/Mayan Village. I've also renamed this thread with the current title of this project, Trespasser HD. 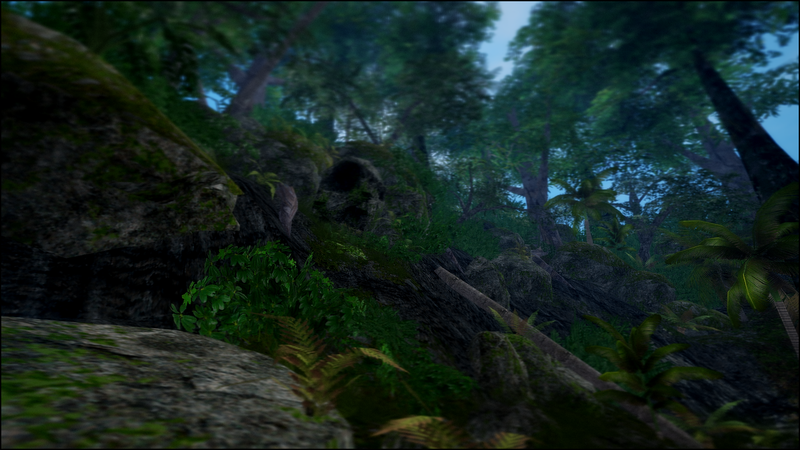 Very nice , the images remind me of what I had envisioned for my Far Cry 3 attempt. I remember watching this video with uncontained excitement when it showed the town with a thunderstorm overhead, then I saw in the description that it wasn't a mod but edited clips. Would love to see the town in that setting . Did you ever get very far with that? FarCry was supposedly inspired by Trespasser as well, at least in the environmental sense. Ah, I just saw that video earlier today for the first time. I really liked the thunderstorm town as well...I could do something similar, I think, but I'd prefer to have night in the town clear of rain since I want it to look misty as in the movie. IJ on the other hand might get a thunderstorm, and perhaps you'll be able to hear it rumbling overhead in the later part of PH and the Town. Looking spiffy! 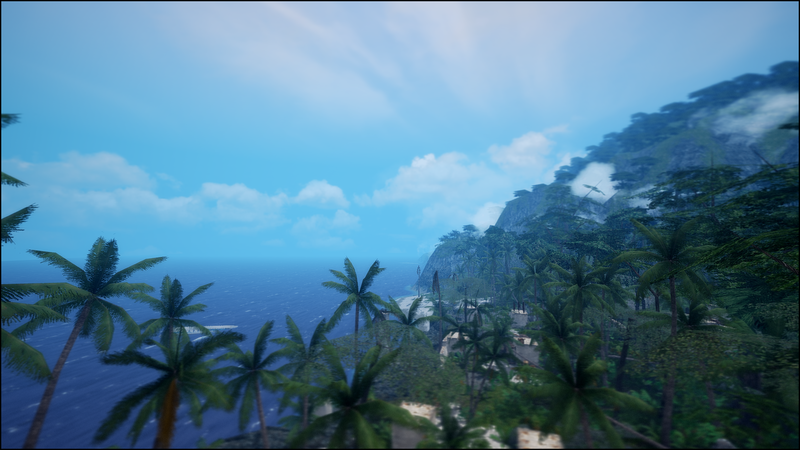 I honestly don't mind the environmental differences between the levels; a main point of this mod is the simple density of jungle. Making different varieties of jungle gives a broader experience to the mod. True, yes, but I would eventually like to have everything 100% consistent to create a better sense of realism. The difference will be in the landscape and environment rather than unrealistic changes in the entire ecosystem. Sadly no, I built all sorts of structures ranging from the hunter Jeep to Hammond's mansion, level wise I built as far as the Plantation house in the jungle road level before I left. The reason I stopped was a mix of how some of the buildings looked and how much memory was used ( I put a lot of detail into these structures and they visually look horrible). However I did finish the Far Cry 2 version, not because I said it was done but because the game says "your done", the budget and memory are maxed out . Sounds cool, but of course older games (and even a lot of newer ones) do have limits that you're eventually going to run into if you try to expand further than the scope of the base game. You wouldn't have trouble creating all of Isla Sorna in, say, Fallout, since it was made to handle gigantic maps like that, but of course it would take a ton of work to get Fallout looking like Tres, as opposed to FarCry which already has a lot of useful props. Perhaps you can share some screenshots of your unfinished work, if you don't plan on ever completing it? Maybe I can take some inspiration and apply it to this mod. Its on the to do list, probably will start that topic once I finish the E&A research topic or when I don't have anything else to post. I watch this with the same excitement as I did with S13nt's posts, giddy. I still check his site frequently as I'm always hoping to see more of his work. He's a big inspiration for this project (a couple of visuals are heavily inspired by his work, including the beach and the Mayan Face). ... He's a big inspiration for this project (a couple of visuals are heavily inspired by his work, including the beach and the Mayan Face). That's nice and you are doing a great job (going by the pictures and descriptions you write). They're not specifically new, however, since they're actually a remake of the VPlmHwii set of trees from retail. They're a bit higher poly and smoother, and I added a couple of tiny details and completely re-did the textures in HD with bumpmaps. This was taken in TresEd so the textures are low-res, and the lighting is a bit different since this is RTJP~Helipad and not Beach HD. 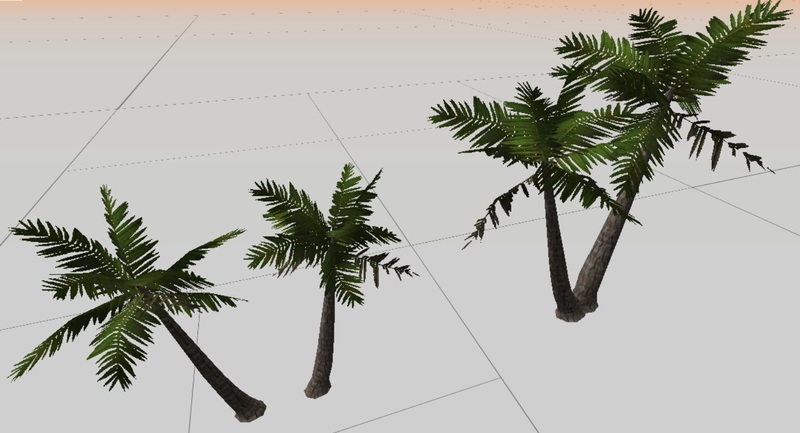 Originally, they were made just for RTJP to replace the unfitting old version, but I was so pleased with the results that they'll also be included in MegaJungle and HD, where they act as simple generic palms alongside the real coconut palms and alexandra palms. Nice new palms! I get the feeling that Tres HD is a sort of pro-potentiation of the high-res capacities of Tres CE for the original game. The Destiny of Trespasser is Fulfilled!